With seasonal, scheduled flight service from South Florida cities into Marathon, the secret has now begun to get out. 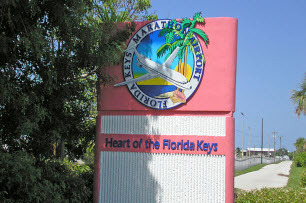 Visitors to the Florida Keys have just started to understand why Marathon Airport has been loved by private plane owners and corporate executives for years. It's not a hard thing to get your head around either. The city of Marathon is the perfect place to use when flying into the Florida Keys. The fact that it is bang in the middle of everything means that the airport is always about 1 1/2 hours drive from anywhere you fancy in the Keys. The airport has had lots of improvements made to it over the years, and after nine million dollars was spent on the terminal, it now boasts plenty of parking, taxis, shuttle services and all the other amenities that you would normally expect to find at an airport. And the reason that the airport is gaining in popularity is simply that due to its central location visitors can get to Marathon's accommodations, fishing fleets, and attractions in a very short space of time. Your vacation starts almost as soon as you hit the ground. The Airport was in the beginning a military operation, serving the American navy back in the 1940's. Known as OLF Marathon which stands for Outlying Field Marathon, for many years this was the second base in seniority after Key West. Quite a few charter services have now started using Marathon Airport as one of their preferred bases. The airport has always been popular with general aviation fans who along with companies who have their own jets use the airport to fuel and store their planes safely overnight. Brand spanking new hangars have been built recently for owners of private planes, with plans to build more in the pipeline. Nowadays it used primarily as a base for the Marathon Jet Center. The Jet Centre is a flight based operation that caters to general aviation and light aircraft. It is a first class facility that offers a red carpet service. On the airport you will be able to find a maintenance facility which also sells low-lead (LL) and Jet A Fuel. On October 4, 2008, Continental Airlines announced it would begin commercial service to Marathon but unfortunately due to low demand this was stopped. However if you are a competent pilot, then this might be just the place to tie down your plane, for either an overnight charge or per month. Air Key West run a fully licensed charter service (FAA Approved). This is pure class as unlike other companies Air Key West will allow you to decide when to take off, so you will experience none of the other issues that you normally get like queue's and waiting around. This is the premier South Florida Charter service, which covers not just the Florida Keys, but the Bahamas, and South Florida too. They have been operating for over thirteen years and and extremely experienced. This is a great little company that from St.Petersburg-Clearwater Airport will fly charter flights straight into Marathon Airport. They are open for 24 hours per day and can be called on to fuel any Cessna Class planes, and perform many other services that might be required. You can rent hangar space for your plane from Hangar Development, simply by phoning up and arranging a lease.